코파카바나 해변의 탁 트인 전망과 소형 옥상 수영장을 자랑하는 Real Palace는 해변에서 230m 거리에 있으며, 매일 무료 조식 뷔페를 제공합니다. Wi-Fi는 무료입니다. 이 4성급 호텔은 현대적인 인테리어와 고급스러운 장식으로 꾸며져 있습니다. 객실에는 밝은 색상의 목재 가구와 현지 예술가의 그림이 비치되어 있으며, 미니바, LCD 케이블 TV, 전화기가 구비되어 있습니다. 점심과 저녁 식사로 브라질 요리와 세계 각국의 요리를 즐겨 보십시오. 이국적인 음료를 제공하는 바도 있습니다. Real Palace Hotel의 투숙객은 바다 전망을 갖춘 피트니스 짐에서 운동을 하거나 사우나에서 휴식을 취하실 수 있습니다. Real Palace Hotel은 카르데아우아르코베르지 지하철역에서 단 350m, 산토스 뒤몽 공항에서 9.2km, 갈레아오 국제공항에서 25.6 km 거리의 편리한 위치를 자랑합니다. 코파카바나 항구까지의 거리는 단 2.7km입니다. 새해 휴가 기간 및 기타 휴일에는 주차장 요금이 다르게 적용되니 참고하시기 바랍니다. 모든 투숙객은 체크인 시 사진이 부착된 유효한 신분증과 신용카드를 제시하셔야 합니다. 모든 별도 요청 사항은 체크인 시 가능한 경우에 한해 제공되며, 추가 비용이 부과될 수도 있음을 안내드립니다. 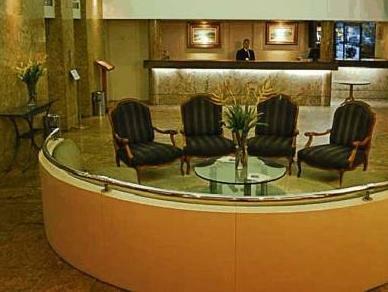 The Real Palace Hotel is a full-service property a couple blocks away from Copacabana beach, and it also offers easy access to public transportation - the Ardeal Arcoverde subway station is 3 minutes away on foot. The hotel shows its age a little bit, but I was very satisfied with my choice. There is a swimming pool on the top floor. My standard room was spacious and comfortable - it had a flat-screen TV, air-conditioning, refrigerator mini-bar, safety-deposit box, closet and storage areas of good size, and a comfortable bed. The 2 elevators were somewhat small, but they operated efficiently. I enjoyed a very good Brazilian breakfast. I was very pleased that my request for early check-in materialized when I arrived from an inter-continental journey at 9:45 AM. The gentlemen at the Reception were extremely pleasant and eager to help. Beyond any doubt, I look forward to making plans to return! I was able to check in really early so I was pleased. Facility and building is really old but it has everything you need and staff are more than helpful and super friendly. Breakfast is amazing. And the beach is only 5 mins walk away. 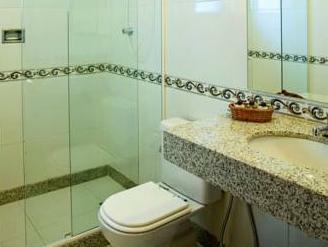 Excellent location, within five minutes walk to Copacabana. Breakfast (included) had a huge range of quality food, with fabulous fruit, a generous range of breads, cold cuts and even creme caramel. The restaurant staff, housekeeping staff and bell boys were excellent but the reception staff were more reluctant - they did what they were asked, but not cheerfully. We booked a tour through the hotel, but later found that whilst we were charged R150 each, others on the coach from different hotels were charged R100 or R120. No-one likes to feel "ripped off". Incidentally, the tour to Petropolis was the worst organised tour I have taken in 45 years of travelling - we spent the first three hours going around Rio collecting people from other hotels, until the coach was full and the tour guide then stopped the bus to stand and smoke for 10 minutes until another passenger banged on the window. The room was comfortable but the bathroom needed maintenance. I stayed here during the World Cup. Consequently the room was extremely expensive - so it is a little hard to give a fair review as I am not sure what he pricing is normally. In terms of the good points: - the location is second to none a couple of blocks from Copacabana and in a safe enough area - the room was clean - it was basic but no problems and the shower was fantastic (very powerful) - free wifi - helpful staff No real gripes. The hotel is not particularly modern but was fine as a place to stay in a good location. This hotel room rate is reasonable , while rooms are clean (not big though). You can reach to copacabana beach in 3 minutes. stayed there for 5 nights. 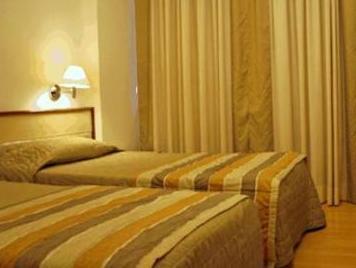 the hotel is clean and tidy and is in an excellent location, only a short stroll from the beach and metro. Not service- minded attitude. Due to electric breakdown 15 min in the evening the AC and WiFi did not work all night and morning. The taste and coulour of the breakfast bacon was hopefully just during our visit. Though a varity of fresh fruit. Our check in is fast as well on checking out, maybe there is no guest at that time. Room size is OK to fit four of us with that price I paid. 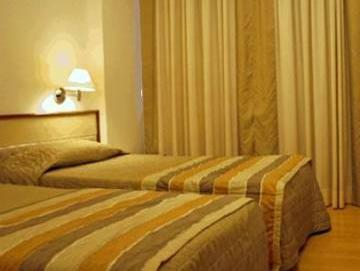 Overall is OK but I think the hotel need to be maintained a bit more for the cleanliness. 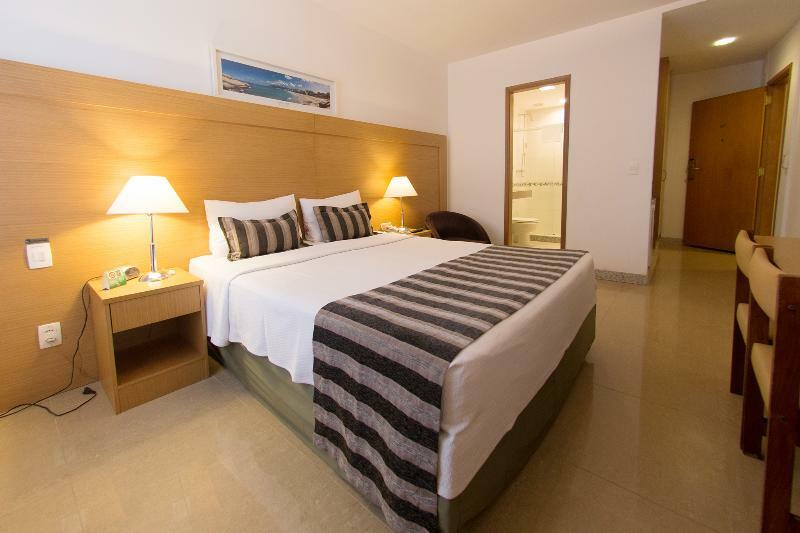 for a one day stopover in rio i was looking for a place near the beach at a not too high price, since i would not spend much time in the hotel anyway. the hotel is located in copacabana a few blocks from the sea, which translates to being in a not-so-nice area at night and requires moving by taxi only. even during day the street is not overly attractive. the hotel itself is so-so - it seems to be a 4* standard of 20 years ago. the room was worn out and the air conditioning working, but smelling a bit musky. on the plus side, the deluxe room hat enough space, a perfectly working shower and enough light. the staff at the hotel was friendly and helpful. free wireless ist also a plus. i would probably not stay again - not necessarily because the hotel was bad, but just because i would try finding something nicer. the manager helped arrange tours, gave me advice about finding a shopping market and helped me to get to the airport with a very short time frame. it was a pleasant stay in real palace hotel. it's close to the copacobana beach which leads to ipanema and lebron. staff are very friendly and will do extra mile in their duties. food is good. room is lovely. free wifi is a plus. We stayed twice here a few days each time. The first trip we had a great room on the top floor. Thew pool is a little small but nice to cool down in. Fridge in room, WiFi, A/C and TV with a few English channels. Le prix n'est pas à la hauteur des prestations de cet hôtel. Il est un peu vieillot et mériterait une bonne rénovation des chambres. Par contre il est idéalement situé.